Spring golf is a beautiful time in Michigan, either alone or with friends. It&apos;s been a long winter and other than the few painful moments you have to spend every morning scraping ice of your windshield, you haven&apos;t been outside much. Well, I guess theres shoveling. That was fun, wasnt it? Your golf clubs have sat still (unless you have to move them to get to the recycling) since late last summer, just kind of...waiting. Well golf lovers, the wait is just about over. Late March/early April is here, and numerous golf courses in the area are beginning to open up for long-awaited spring golf. In Michigan this is a beautiful time to be outdoors as everything is budding and golf courses are coming into shape. Just like your golf clubs, your arms and legs haven&apos;t moved much and now that its spring its time to get them out, dust them off and give them a test swing. Its finally time to be outside to have fun, not just get the job done as fast as you can because youre freezing. A lot of the local courses even offer spring rates and special early bird discounts. Greater Lansing is truly an awesome place for golf, and this isn&apos;t just me talking. Travel writers who play golf all over the world and then write about it for magazines like Golf Digest have been known to say what great shape the courses are in, compliment the quality of the greens and fairways and revel at the ease at which an individual without friends in high places can get a tee time. It&apos;s a special place for Midwestern golf to be sure, and if you&apos;re adventurous, try and get out and explore the 30 golf courses within a 30 mile radius of Greater Lansing. Wow. See why golfers around here get started in the spring? To play all the courses around you&apos;ve got to get an early jump. 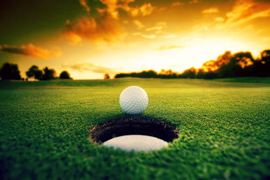 Go to the golf section of this awesome website to learn more about the golf courses in the area and the specifics of their spring rates, opening dates and more. Winter is long and now that spring is here dust off your golf clubs and get out and play.